The Freedom Group, Inc. (FG) announced that Bushmaster Firearms Int’l production has been moved to the Freedom Group’s Ilion, New York facility, where Remington rifles (and other FG family brand firearms) are crafted. Bushmaster guns were previously built in Bushmaster’s Windham, Maine factory which is slated to close its doors at the end of this month, with a loss of 73 jobs. Freedom Group expects to create 40-50 new positions at the Ilion, New York facility as a result of the relocation. 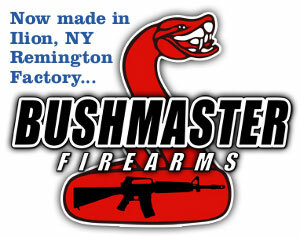 Share the post "Bushmaster Production Moved to New York"